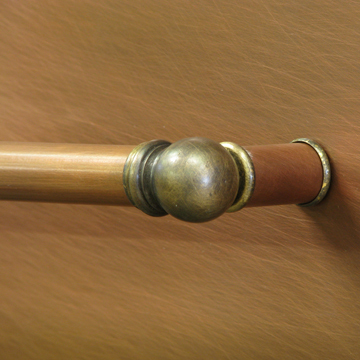 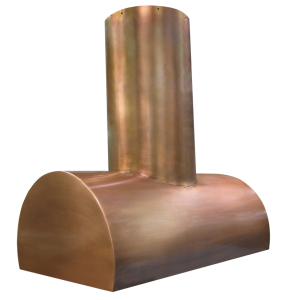 Optional custom copper pot rails can be added on each end for functionality. 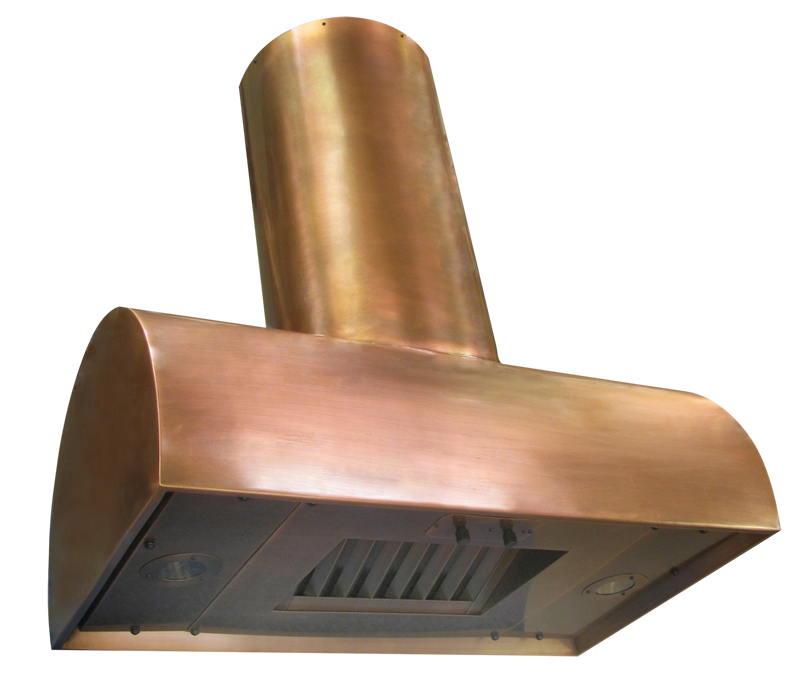 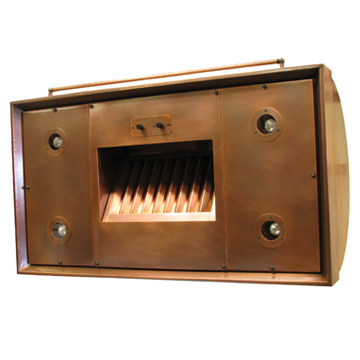 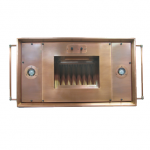 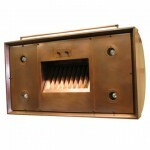 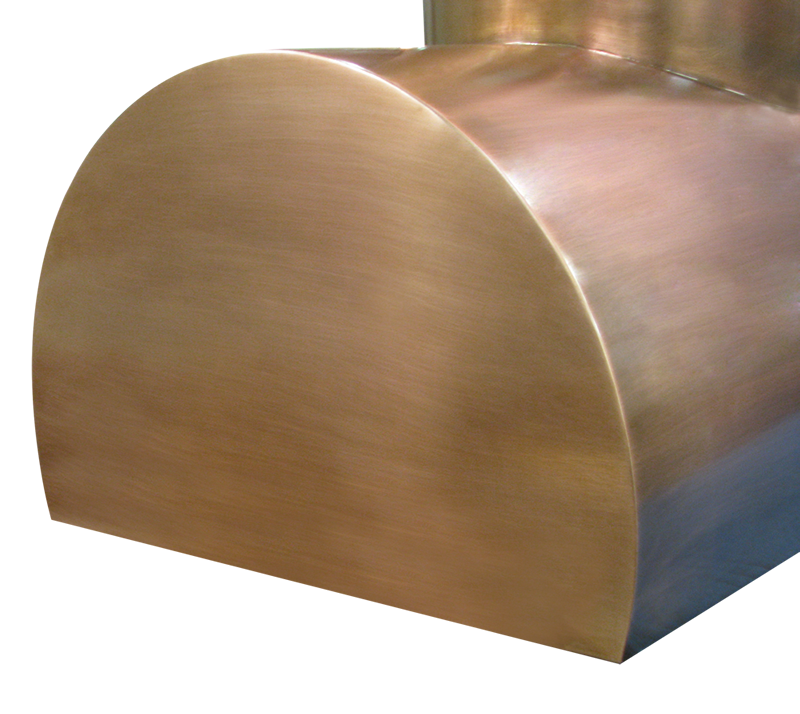 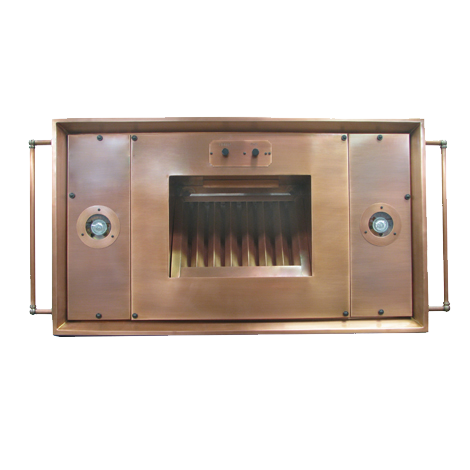 Range Hood 38A Optional custom copper pot rails on each end for added functionality. Description: This barrel vent hood features a sleek body and edges. 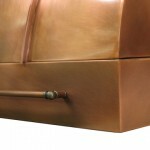 Shown here in medium copper finish with custom rib seams and custom copper pot rail. 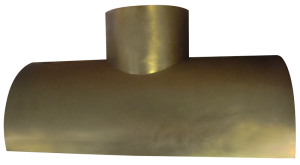 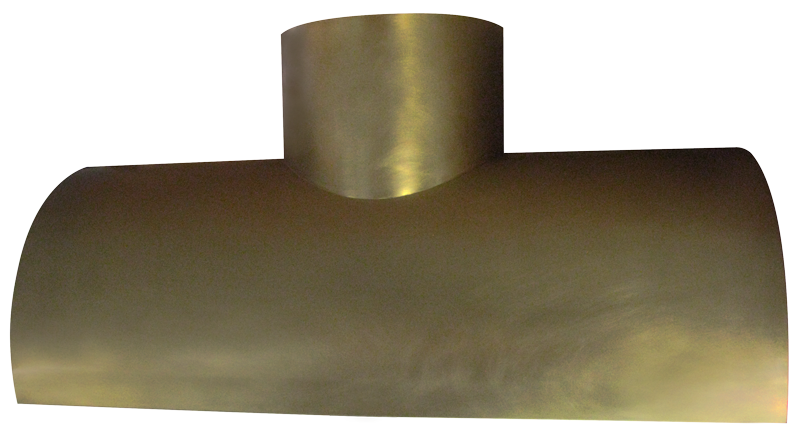 Description: This brass version is finished in Burnished Brass with an integrated border. 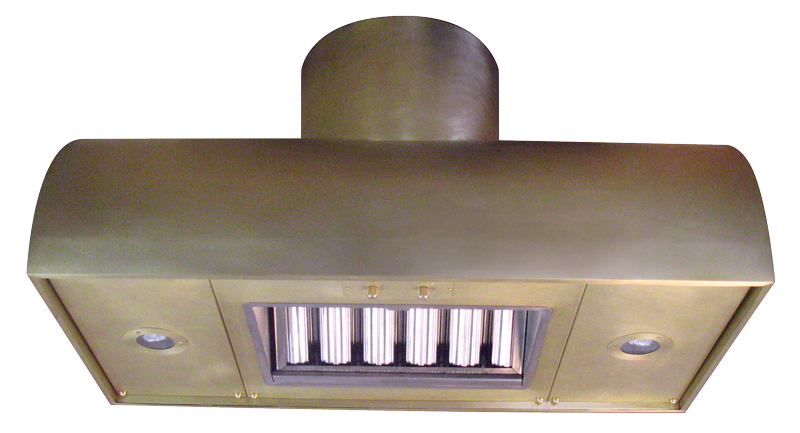 Range Hood 15 A sloped front with vertical strapping and flushed sides, and a round flue cover. Shown here in burnished brass. 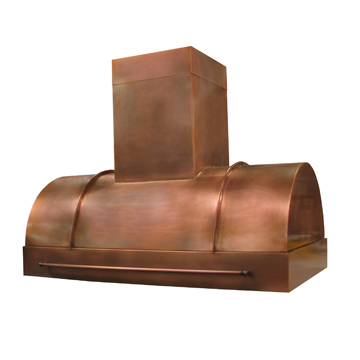 Range Hood 22 a custom range hood that features a solid rectangular body with a progressively curved top. 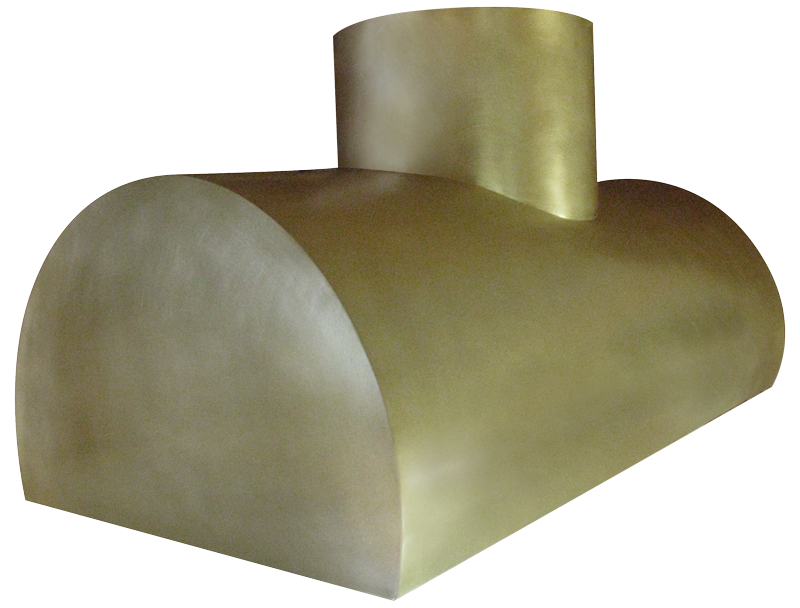 Range Hood 24 A graceful bell curve shaped body defines this custom range hood.